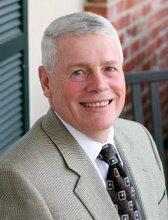 The Citizens of Ridgeland will vote next Tuesday to select a Alderman to fill the seat vacated by Gerald Steen... Please click through my campaign materials to see why I'm by far the most qualified for this important position. Your vote and influence are greatly appreciated. Elect D.I. Campaign "push card"
Vote D.I. : The Taxpayers Watchdog! If you will be out of town, vote absentee at City Hall.